IMPORTANT: We can only accept mainland UK orders on our website. Prices quoted on our website do not include carriage charges or VAT. Carriage charges are based on the weight of the package. 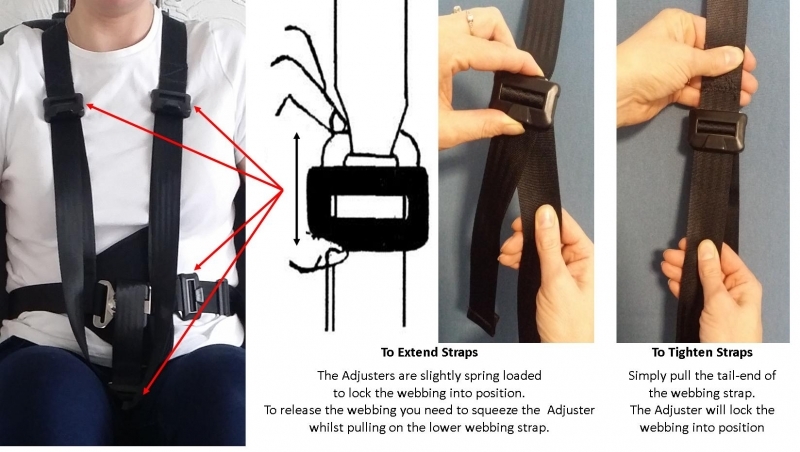 Uk orders on average will be charged £8.80 for one vehicle harness. Multiple orders being delivered to the same delivery address will be charged £13.50. For Northern & Southern Ireland the carriage charge is £17.50. Please contact us if you need an accurate quotation. Prices quoted on our website do not include VAT. Private Customers & Charities are VAT Exempt. If you are not sure, please contact the person who is paying for the item. 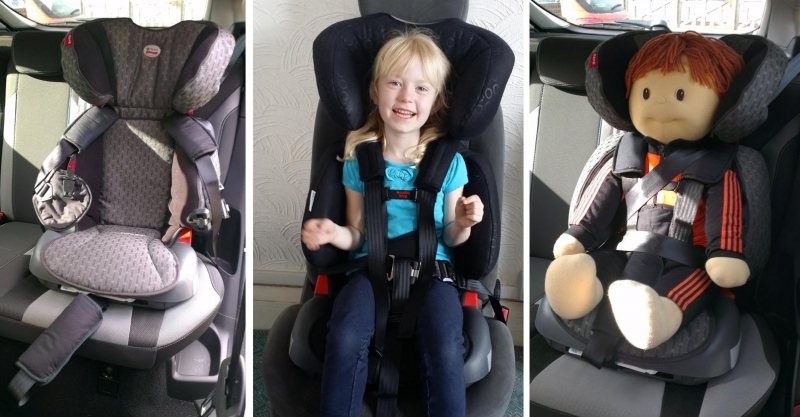 Designed to offer postural support and a certain degree of restraint to children and adults to keep them in an upright sitting position. Fits most types of vehicle seating. Including single, bench seats & some high backed booster seats. 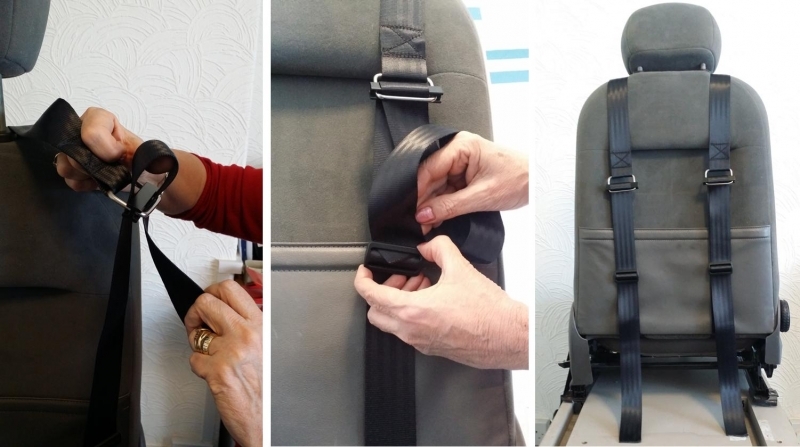 To fit the harness access is required between the seat back and the seat cushion of the vehicle seat to fasten the fixing straps vertically around the back rest. NB. 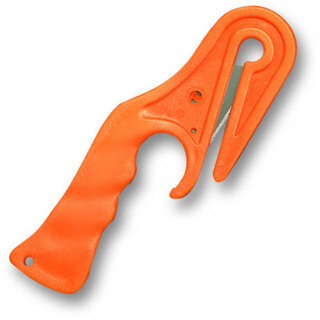 This harness is very similar to the Model 27 harness which has horizontal fixing straps. Model 27 will only fit single seats and is more suitable for those seats where the back rest narrows' towards the top. 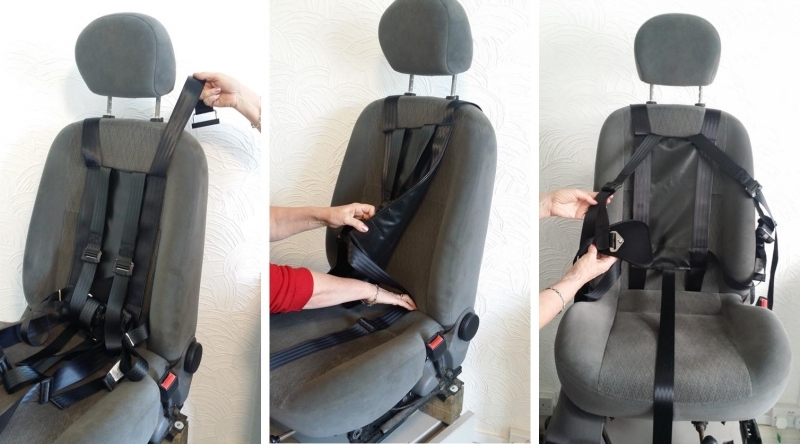 This harness will accommodate young children in some child seats (see below), all booster cushions & passengers above 135 cm who are able to sit directly on the vehicle seat. passengers with inquisitive fingers that can undo the press release buckle. 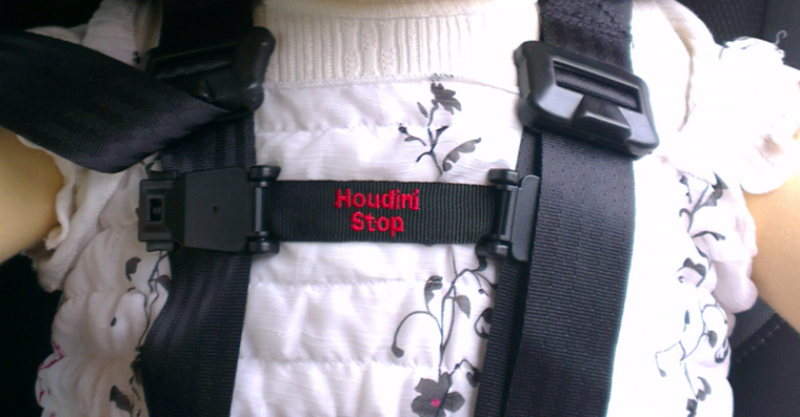 A Houdini Stop Chest Strap is sent with this harness, free of charge. 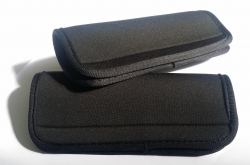 Velcro Comfort Sleeves will be supplied with each harness. These can be fitted around the shoulder Straps & under strap where required. 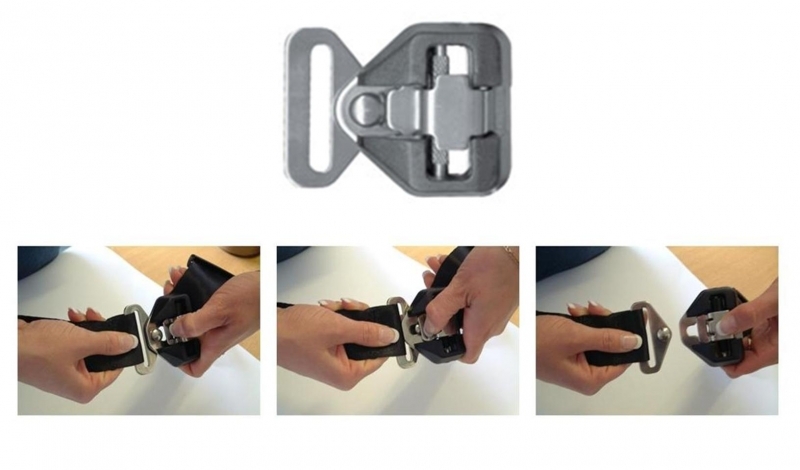 We strongly recommend that a seat belt cutter is kept in the vehicle when the harness is fitted with A Steel Safety Buckle. A simple but effective device for ensuring the occupants of a car are able to exit quickly and safely, particularly in the overturned car. 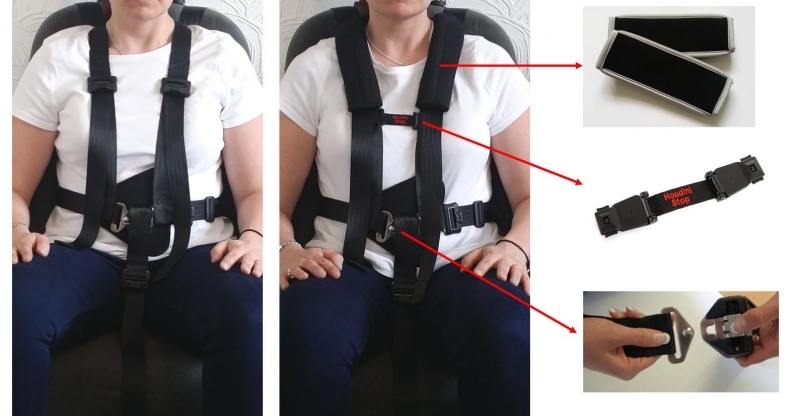 This harness is also available with a 'Press Release' buckle for those passengers that only need postural support. IMPORTANT: This harness is not classed as a safety harness. 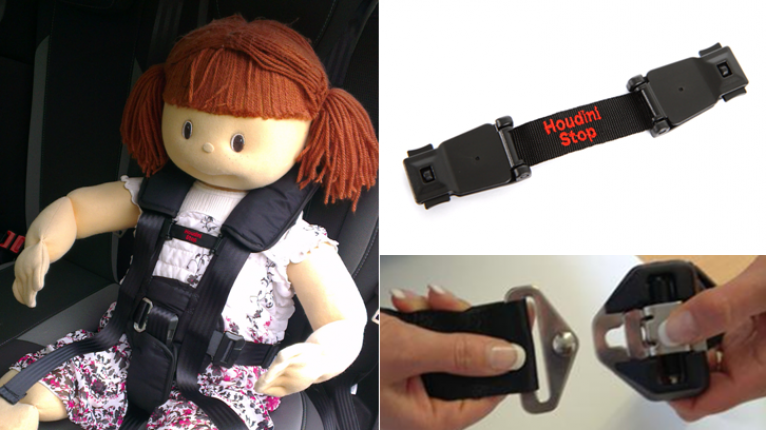 The vehicle safety belt MUST be worn over the top of our harness unless they are exempt for medical reasons. 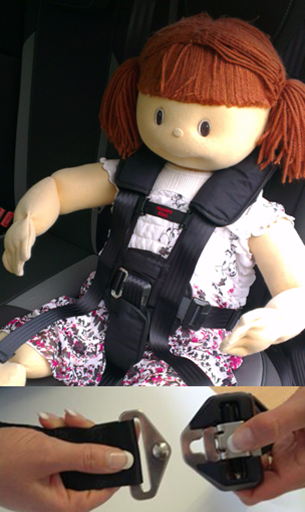 The combination of the existing safety belt & the secondary harness offers added security for the passenger.